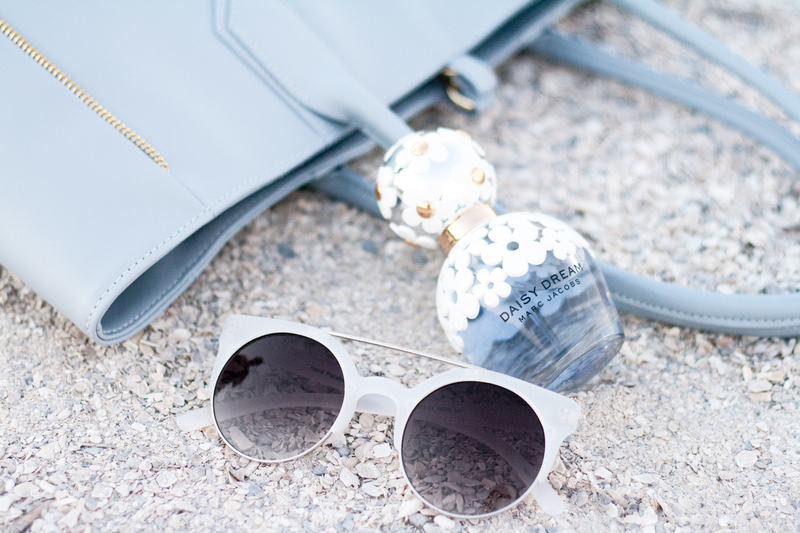 Here is my second post in collaboration with Marc Jacobs Fragrances. 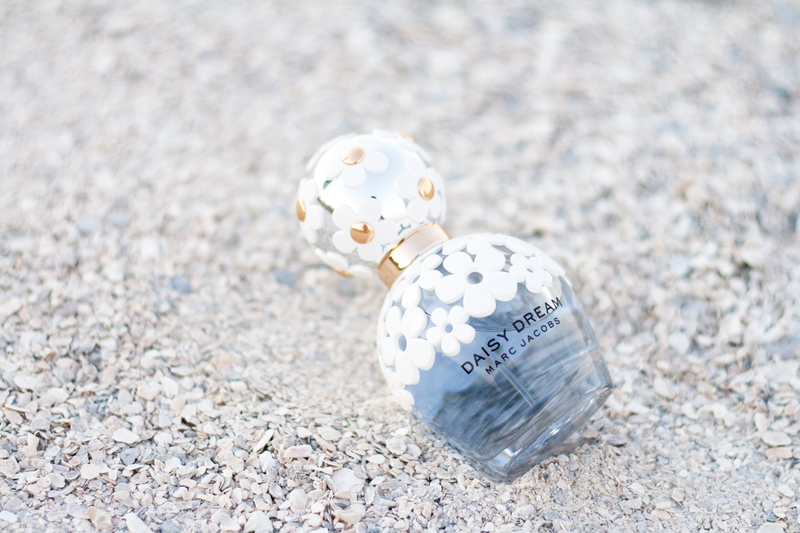 Last week I wrote about Daisy Eau So Fresh Delight, today I am introducing you to the latest addition to the Daisy family... Daisy Dream. I love them all but Daisy Dream has got to be my favorite! Not only is the bottle incredibly beautiful and dreamy, the mix of floral and fruity scent is amazing as well. I especially love the tint of jasmine, lychee, and blue wisteria. Its reminds me of twirling around under the blue sky with the wind in my hair. 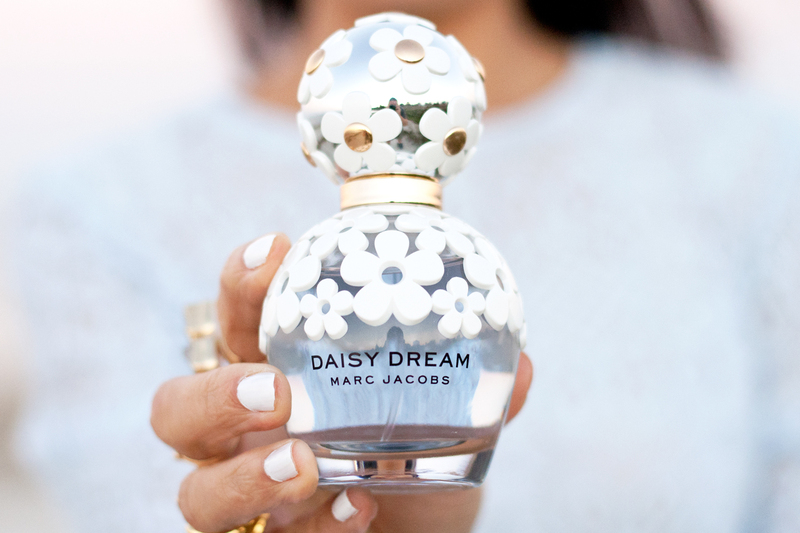 Daisy Dream c/o Marc Jacobs Fragrances. Lace top c/o Just For £5. Embroidered crochet leather shorts c/o F21. Reese tote bag in chambray calfskin c/o Lauren Merkin. Perforated strappy sandals c/o Alloy Apparel. Druzy teardrop bangle by Margaret Elizabeth c/o RocksBox. 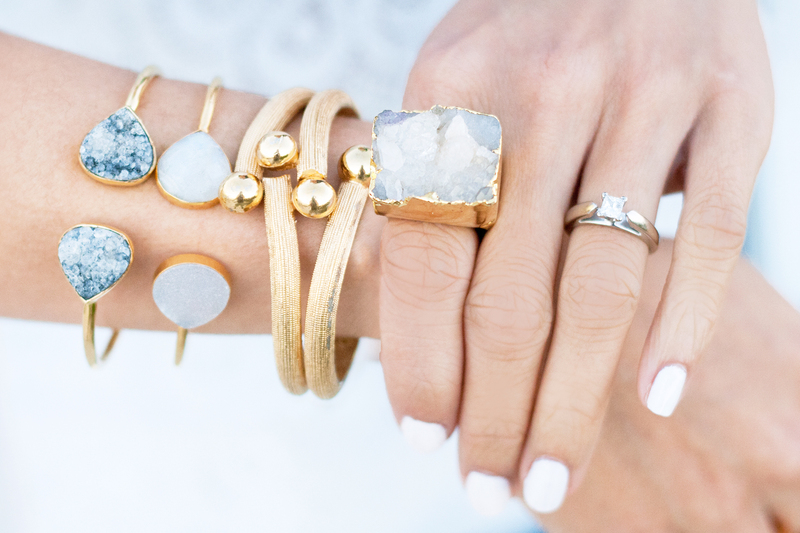 Moonstone & white druzy Xanadu bangle c/o Oia Jules. Golden Goddess quartz crystal ring c/o Oia Jules. Vintage hinge bracelet c/o Sweet & Spark. The colors. The outfit. The Spark. Love. Amazing! Loving all the soft colors!